Bikers of the world unite! 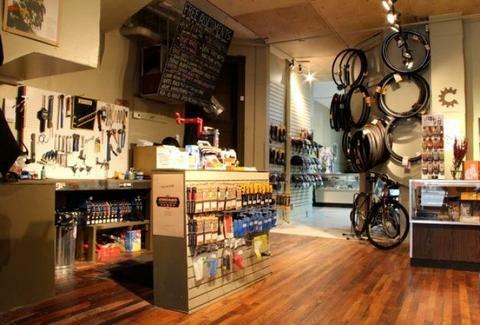 It may seem odd at first, but socialism actually makes sense as an operating principle for a bike shop, being that both push the idea of lots of hard work not getting you very far. That's why a trio of biking-vet-friends are revolutionizing (!) 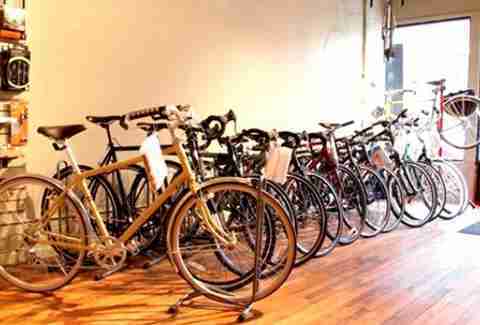 the game at Comrade Cycles, whose manifesto promises ownership to all workers in exchange for their being "welcoming, helpful, and reliable", aka, the complete opposite of Trotsky assassin Ramon Mercader. Service-wise they'll happily hook you up with a gratis assessment & estimate, handling everything from basic flat fixes and tune-ups, to heavier lifting like steel frame repairs and generator light installation; they also offer full-on custom builds and powder coating paint jobs, excessive powder use resulting in totally vicious cycles. They also stock performance-focused factory models from Minny-based All-City, design-forward rides from Electra, and a huge array of accessories including Chrome bags, German-made Continental tires, and handmade leather saddles from Brooks, which must be incredibly rare given he had arthritic hands, and was only out of Shawshank for, like, a month before he hung himself. Those looking for a pick-me-up while they shop can even nab a gratis cup of joe brewed using a custom fair trade blend roasted for 'em by Resistance, a popular excuse for everyone from tired cyclists to Ramon Mercader.